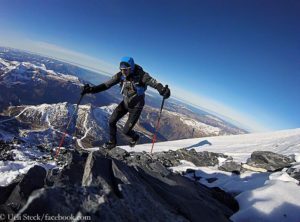 News from traverse kite-skier, Michele Pontrandolfo’s home team arrived at Pythom, Starting from Novolazarevskaya, he battles against no wind with his kites in his sleds. 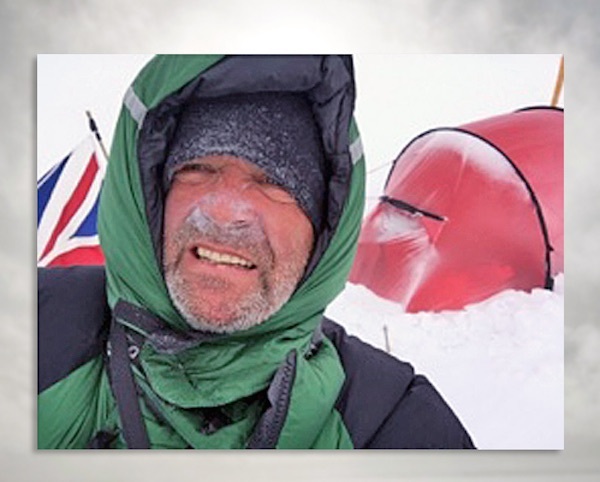 The other traverse explorer, skier Henry Worsley, battles against too much wind on the Ronne Ice Shelf. In Punta Arenas, the Ilyushin-76 is still grounded as weather at Union Glacier is not suitable for landing. Carl Alvey and Devon McDiarmid’s teams are playing the waiting game. Update Nov. 24: Ilyushin-76 flight from Cape Town to Novo is also delayed. He started November 19th. The first day he traveled 13 km with the snowkite, for as long as there was wind, but the wind dragged him a little out of route. 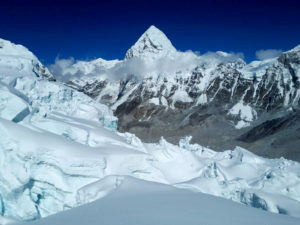 The next day he traveled just 2km and the third day he just moved his camp one kilometer further, waiting for the suitable wind, as the wind was blowing from south-east. Then the forecast for the area predicted that wind in that zone will not change. So Michele decided to ski to the mountain zone, carrying uphill his very heavy sleds (180 kg), traveling about 4 km per day. Henry has crossed into 82 degrees South on November 21 in very windy conditions. That night he made camp in one hour instead of the usual 15 minute. While pitching the tent in 30 mile per hour winds, gusting 35, his right hand froze and he had a battle to warm it up again in the wind. Since then Henry is tent bounded, but he said he wants to get out and move a few miles towards the Wujek Ridge today. He was worried because he is eating into his 80-day rations and using unnecessary fuel. Looking out of the tent he sees the beautiful spin drift agains his sled and tent, already a few feet high last night and stone hard. For this 82 parallel, with the gain in elevation, he is given himself 7 days to complete it.